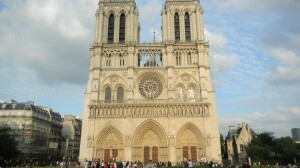 Paris Notre Dame Cathedral is one of Europe’s most iconic buildings. And its creator planned it that way from the get go. We’ll take a look at what makes Notre Dame so special. 1. 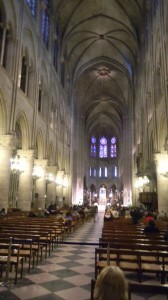 It was begun in 1163 by Bishop Maurice-de-Sully. He was an incredible person. Sully was from a peasant family near the Loire River, and he trekked to Paris to study in the schools that were converging into the University of Paris. Universities were emerging in Europe’s growing towns, and young men with big ideas were graduating into these newly urbanized places. 2. When Sully became the bishop in 1160, he was thinking big. He was in a position to marshal all the resources for building a new cathedral. Gothic style was new. Abbot Suger pioneered it just 20 years before at the Abbey of St, Denis. Sully decided that his cathedral would be much bigger than previous Gothic buildings. The tops of its vaults rose over 108 feet from the pavement. 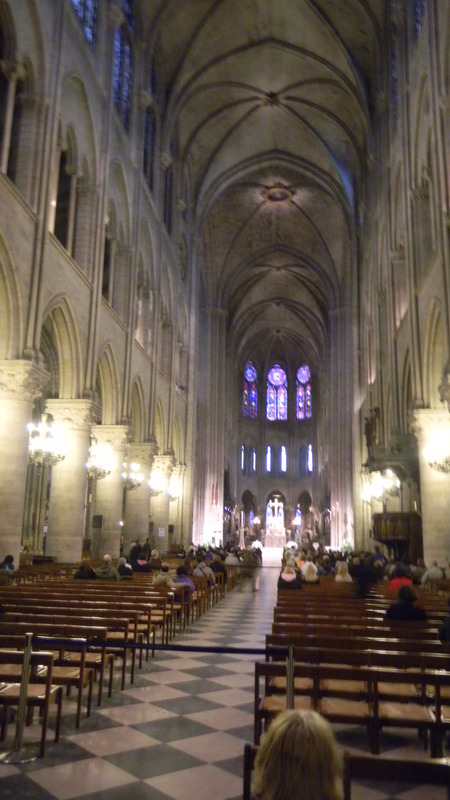 Archeologists discovered that Notre Dame’s foundations are over 30 feet deep, and that they’re especially hard stone. 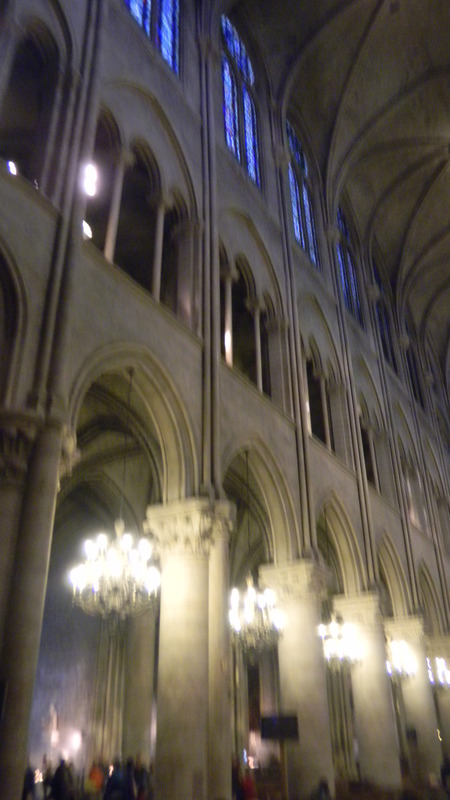 Sully decided that Paris Notre Dame would be monumental before it was even begun. 3. Paris Notre Dame’s interior is dark for a Gothic cathedral. Laon Cathedral was begun just a few years early and it’s nave is so bright that you can think that divine light infuses it. 4. The first columns built in the nave are plain cylinders–they’re the closest to the choir (you can see them on the right in the above photo). All of these features create a stern atmosphere. But Notre Dame Cathedral’s construction evolved over the decades. Gothic style developed more and the cathedral grew with it. In the next post on Paris Notre Dame Cathedral, you can see how it transformed from a brawny demonstration of power into a great work of art and one of France’s most enduring monuments.